If you'd rather pay for your Sackcontent, well, look no further than this Thursday. 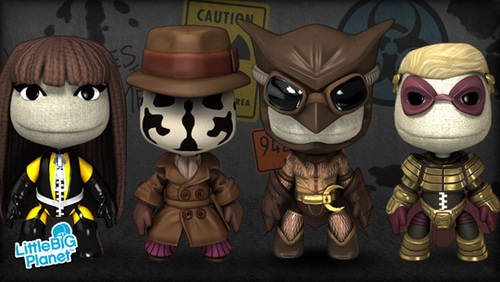 A Watchmen costume pack is coming to the PSN. No price is available yet, but we're hoping these little Watchmen goodies aren't as overpriced as other recent downloadable efforts. I predict about 4 hours before someone creates a Watchmen LBP level that's better than The End Is Nigh.